October is just around the corner. If you have been a part of our family for very long you know that means we are packing our bags and preparing for our October Mission Trip to Santiago Chile. For me, it is one of the highlights of my year. I can’t wait to arrive in La Pintana to once again visit with the young women of the House of Hope, the niños and niñas at hogares and our wonderful dedicated staff. This is such a great time of year to go to Chile. It is fall and the weather is beautiful. 2015 has been a fantastic year for our ministry in La Pintana. We have been able to reach out to our community like never before. We are now ministering to three schools and two hogars, approximately 900 children. Our ministry has expanded to teaching math, the drums, the guitar, voice lessons and includes a high powered Kids Zone for the younger children. 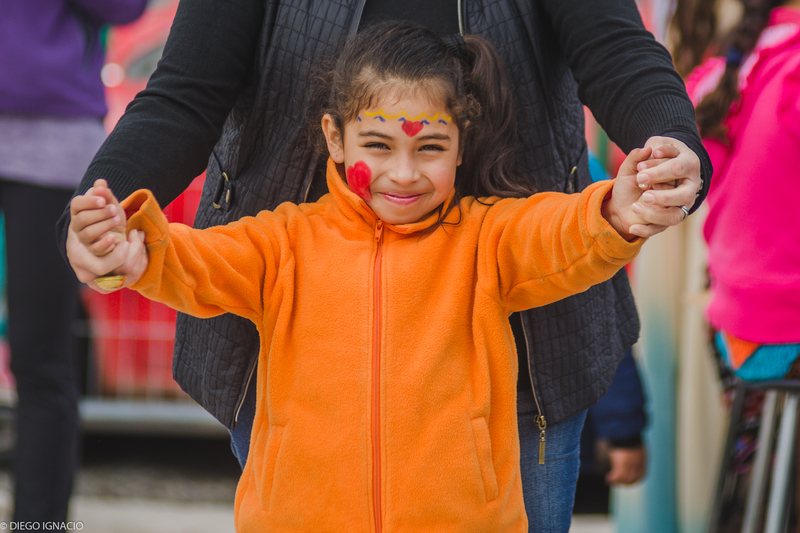 Recently we were able to celebrate “The Day of the Child “a special day in Chile We had over 120 people [children and adults] at the House of Hope to help us celebrate this special day. When we have Interns [we need many more] we are able to help teach English in our schools. Our schools have asked us to come in and teach English and Religion [they want us to teach about Jesus!] This is so exciting. God has blessed us in so many ways. This October we are completing the construction of our third building. This is where we do all of our teaching plus the Kids Zone and house our Micro-Business, Showing Hope. We believe we have some of the best prayer partners and financial supporters. a ministry could ever have. We are so blessed because of you. You truly are our family. We are calling on you for prayer and for your financial support. We need approximately $8.500.00 [eight thousand five hundred dollars] in construction funds to complete this building. We believe we have the team and number of volunteers from Chile to complete the construction. I know that all of you get so many requests for your hard earned dollars. I believe if all of us can donate $50. / $ 100. / $200. or more we can raise these needed funds. Please help us out. Please pray and ask the Lord how you can help. First pray and then donate if you can. donate here via PayPal or Stewardship Technologies. As always, we are so blessed because of you. Thank you so very much for your Love, Prayers and Support. God bless you and your families!